Fullspectrum has a variety of biofeedback tools to entertain your clients, customers or guests. We are a progressive company that offers events & party organisers, Trainers, Coaches, Workshop and Seminar leaders a selection of mind expanding and thought provoking Multi-perceptual Tools of Exploration with personnel to run and manage them for you. Just tell us what you want and we will help you achieve it. We can offer a unique and interesting experience for your guests or clients. Corporate and private functions catered for. What about the unique and interesting process known as Kirlian electro-photography. It can be set up anywhere and in many situations. 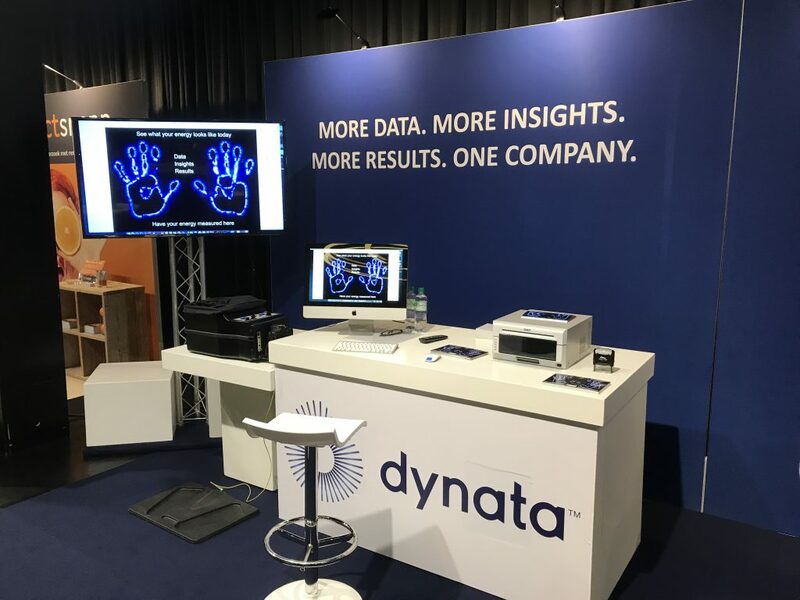 It is a digital process creates then photographs an aura around your hands and then gives you an interpretation along with a glossy photo with large LCD screen for audience viewing. Kirlian electro-photography has a small footprint with big attraction. Who doesn’t want to know more about themselves? 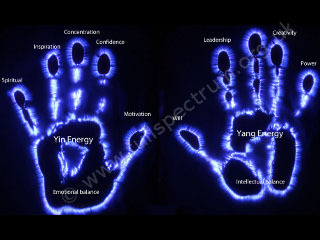 What does the aura around your hands say about you? 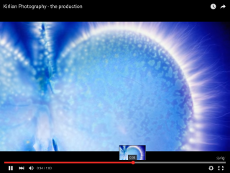 Find out using Kirlian electro-photography. How about trying to fly a balloon using only your mind and breath control. Sitting in a reclining Zero gravity chair looking at the LCD screen in front of you then its you against the machine. Relax and you will take off, get stressed and you will plummet to the ground. Obstacles designed to put you under pressure. Will you clear the wall or crash land? Relax and you will fly through the clouds get stressed and you will crash. 3 or 5 minute time limit. Can you fly the furthest in the time limit given. Score the highest of the day and be the winner. Why not try our racing game using the same techniques. Choose your car and your terrain then race 3 other cars across to the finishing line. Relax and you accelerate and keep your fuel tank topped up. Get stressed and you will use more fuel. Get even more stressed and you will run out of fuel and you will stop and a fog will descend. Relax and and your fuel tank will refill once again. The fog will evaporate and you may take the lead again….beat the clock……..but if you want to win you soon learn to relax – quickly!